Beautifully maintained and updated townhouse in a great St. Peters location, just 3 minutes from the Page Extension 364. Lots of updates and features you wouldn’t normally find in a house this price! The kitchen features white cabinets, gleaming granite countertops, stainless steel appliances, ceramic tile floors, and sunny breakfast room with French doors leading to the deck. The cozy living room has laminate flooring and full masonry wood burning fire place. An updated half bath and main floor laundry complete the first floor. Upstairs you’ll find 2 nice size bedrooms, including a master bedroom and updated full bath that has upgraded cherrywood finish vanity with Swanstone top. 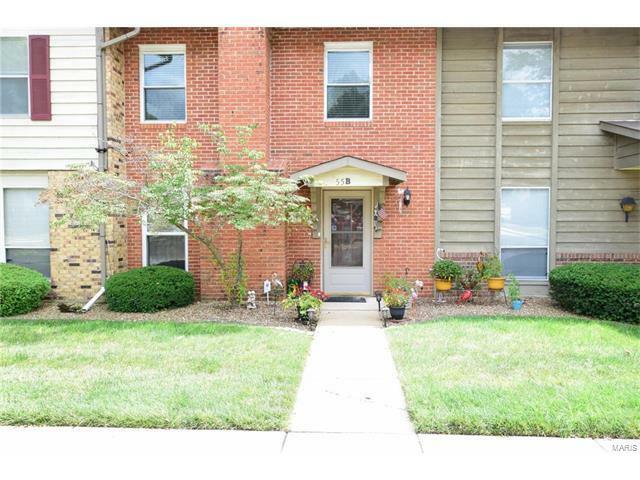 This home also has a beautiful new front door and newer windows throughout. You’ll love relaxing on the deck looking at the peaceful setting backing to trees. Put this home on your must see list today before the sign says SOLD! !